Just as the Gospels each offer a different perspective on the life of Jesus, Chronicles present a different perspective on Israel's history. 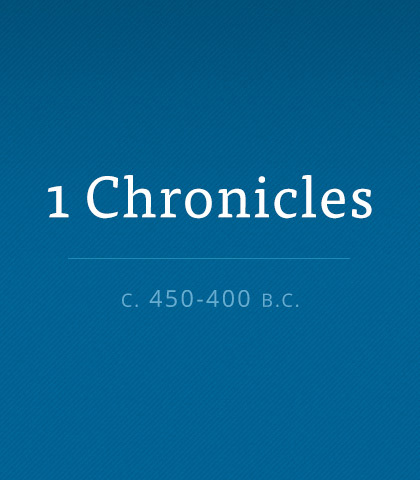 Read more about the book of First Chronicles. Our default is to embrace a horizontal perspective of life, but once we embrace a vertical perspective we acknowledge God’s hand on our lives. God is sovereign, no matter what happens. Milestones are worth celebrating. They’re wonderful opportunities to reflect on where you’ve been and evaluate where you’re going. If it were possible to make all the wrongs right, it would be so much easier, wouldn’t it? When you’re misunderstood sometimes there’s nothing you can do but let it go.